The medical app with the most comprehensive lab test information and transfusion guidelines. More than 800 tests currently available. New tests added weekly. Articles updated regularly. 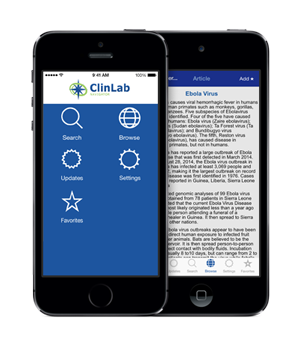 Harnessing the speed, flexibility, and convenience of Smartphone technology, ClinLab Navigator is pleased to announce the release of the newly updated iPhone version of Lab Test Navigator. Created for the working medical professional, the iPhone mobile application features a wealth of laboratory information and analysis at your fingertips and now available everywhere you go. Lab Test Navigator hosts an extensive database of professional, indexed articles written by lab professionals.Transfusion articles contain a level of detail comparable to medical textbooks. The app also features more than 800 laboratory test interpretations, including possible utilizations, basic physiology, potential treatments, and basic, useful statistics. Reference ranges are included for quantitative tests, often in a useful table format.